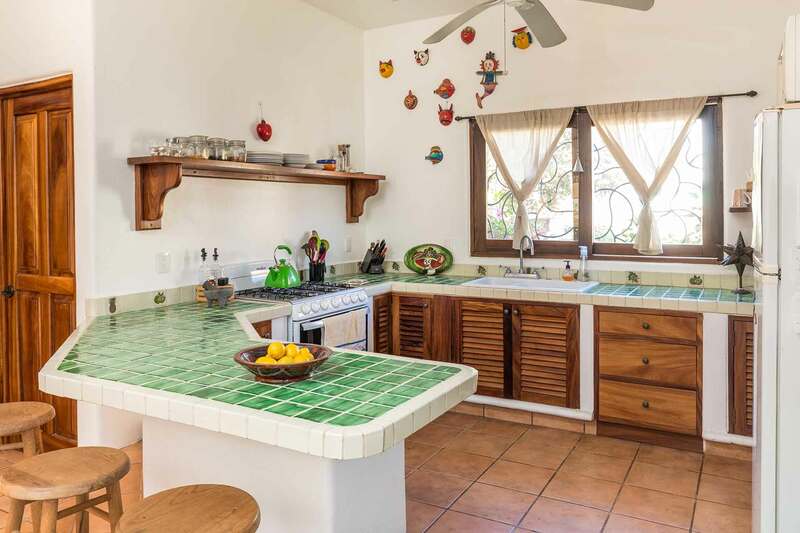 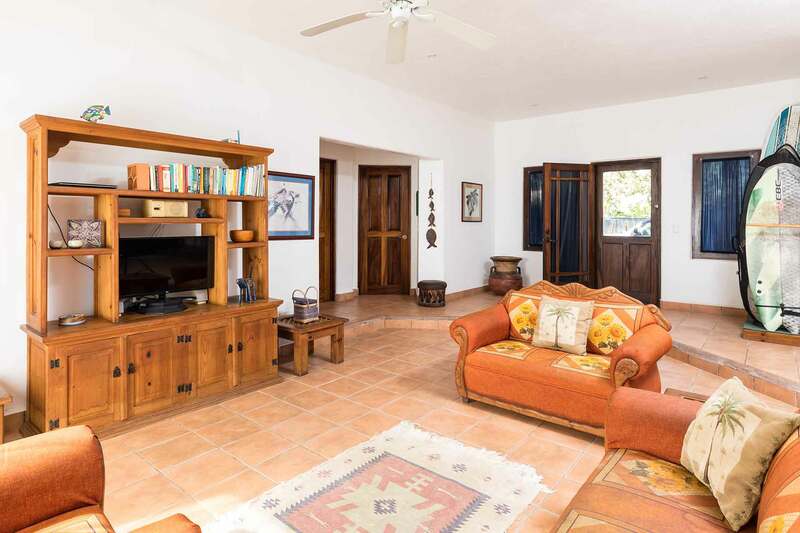 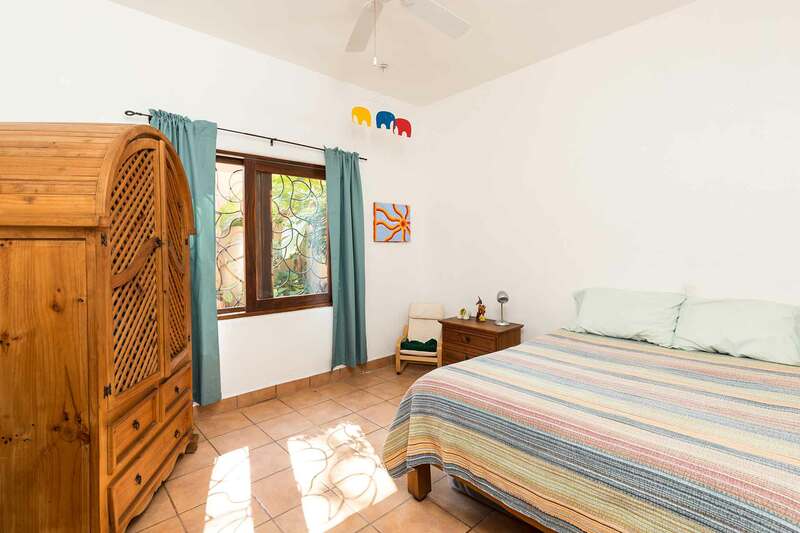 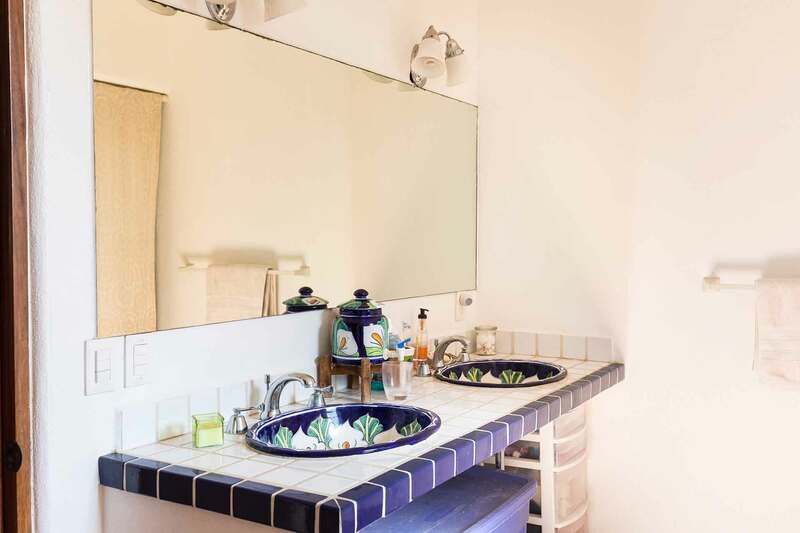 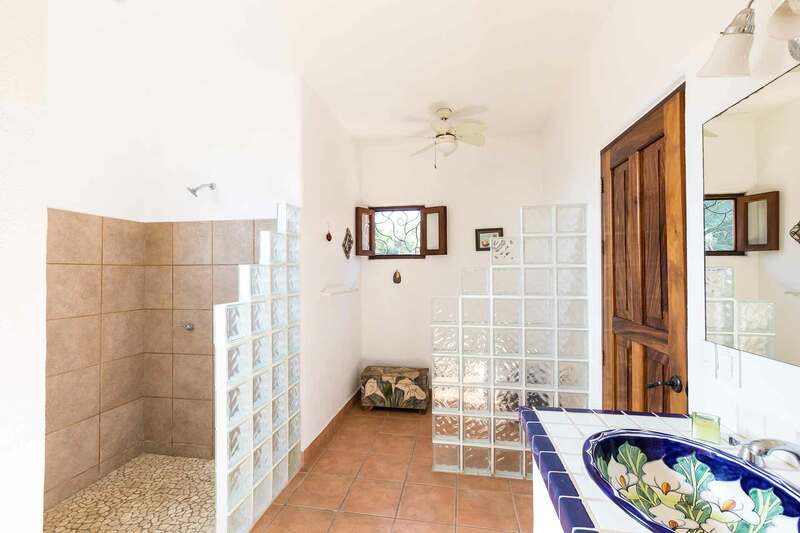 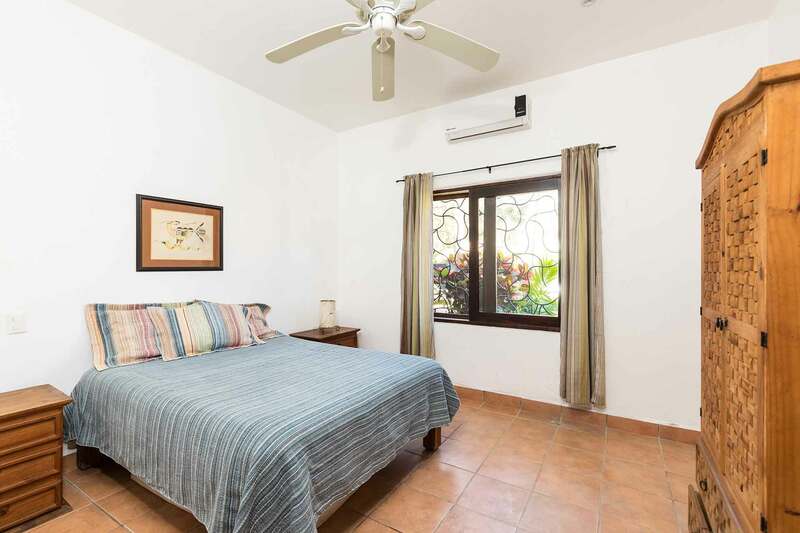 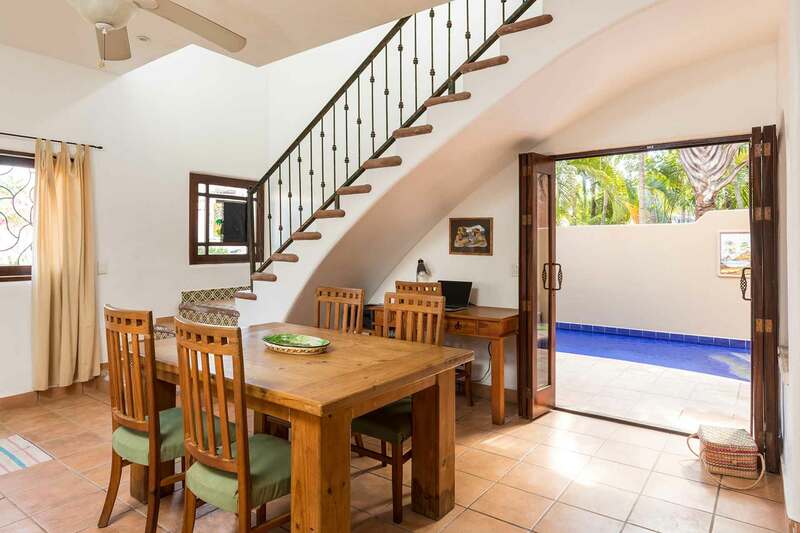 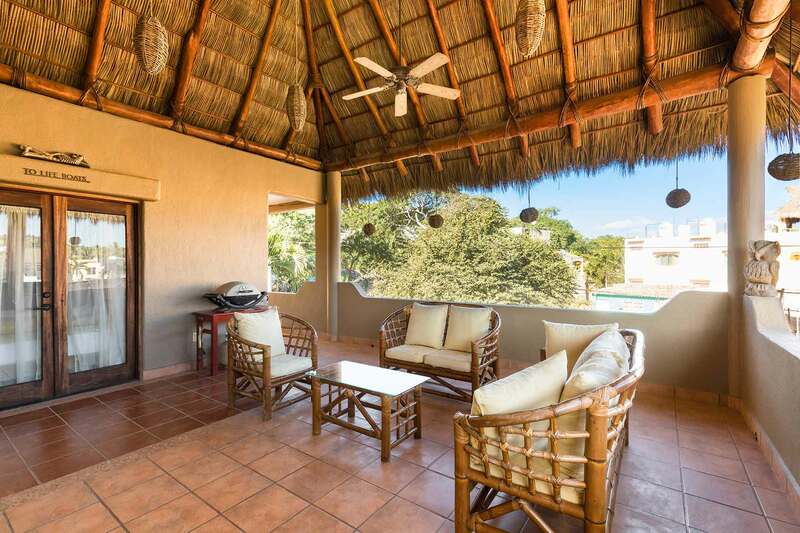 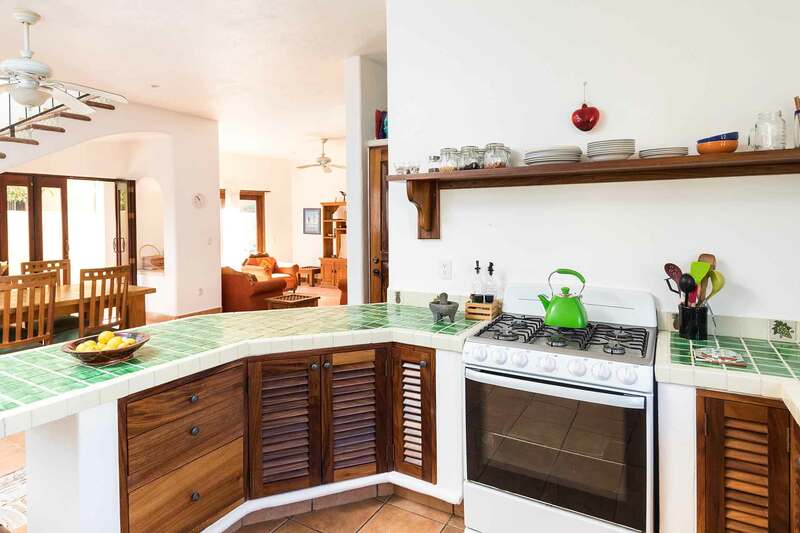 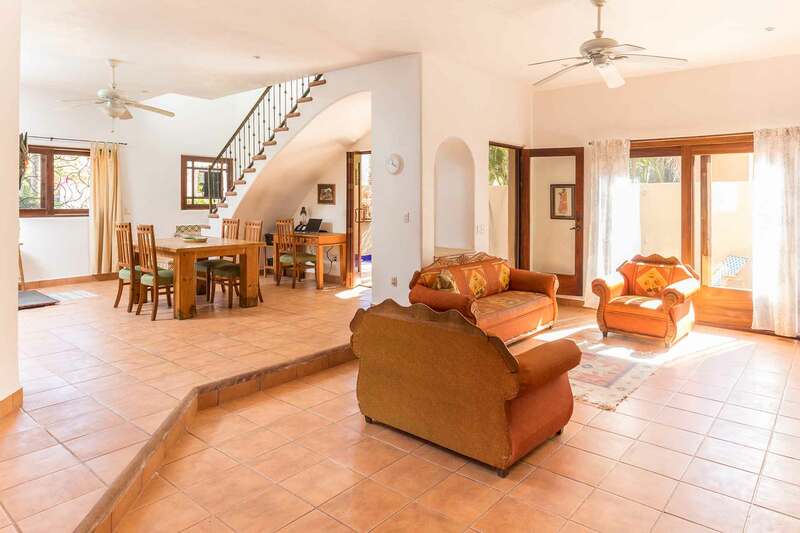 Casa Kalea (named after the current owner’s granddaughter) is a newly remodeled, three-bed, two-bath home located in the residential area of El Izote, an easy stroll to all of San Pancho’s local restaurants and shops. 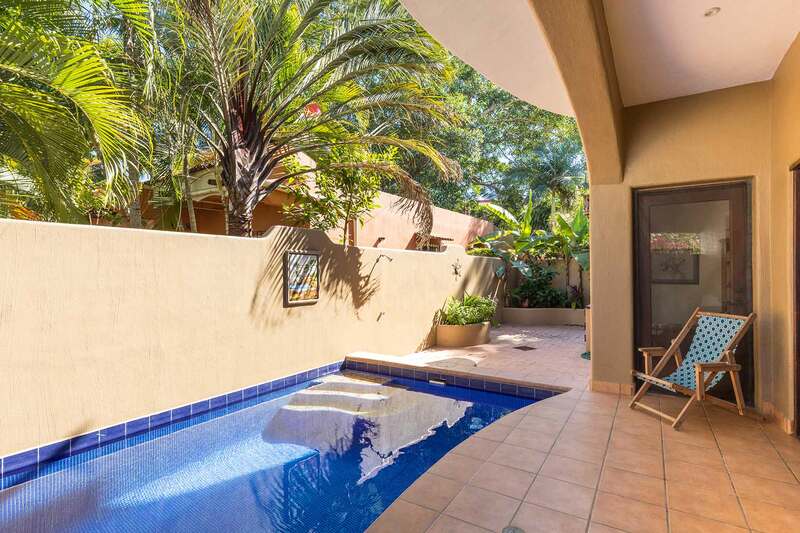 This multi level home has two large bedrooms downstairs that share a large bathroom. 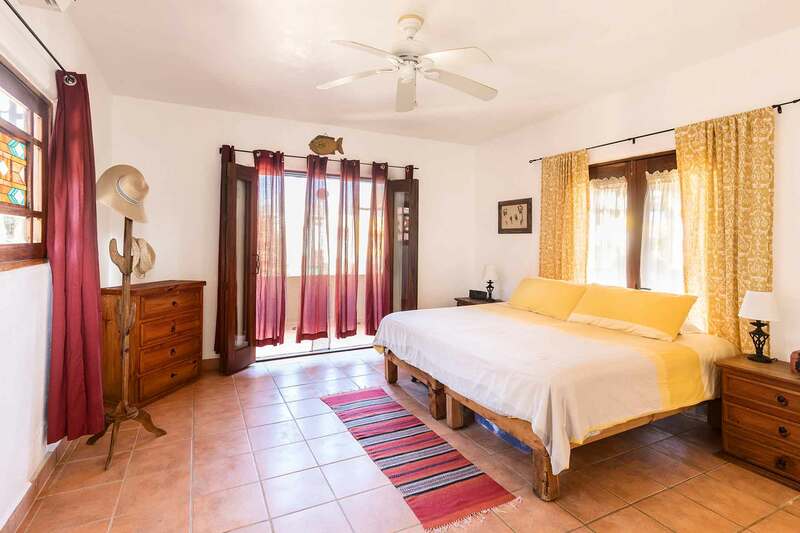 One of the bedrooms has twin beds and one has a queen. 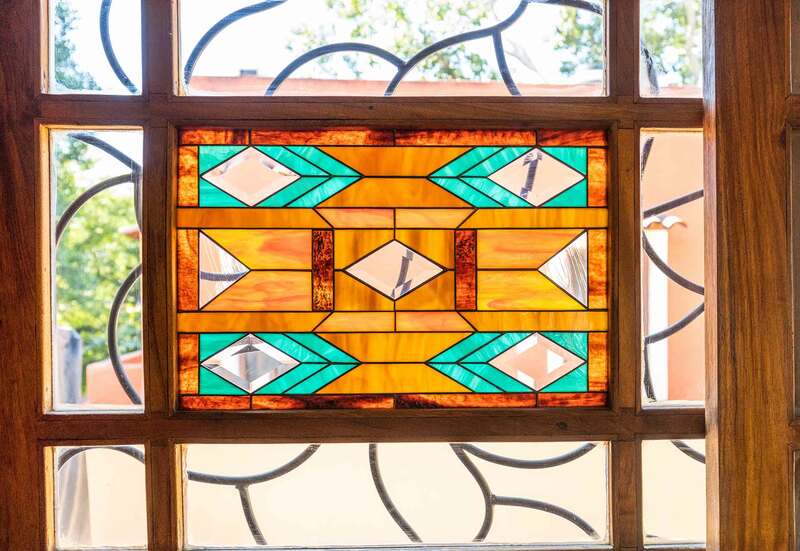 The master bedroom suite, with a private bath and located upstairs boasts beautiful stained glass windows above the queen size bed. 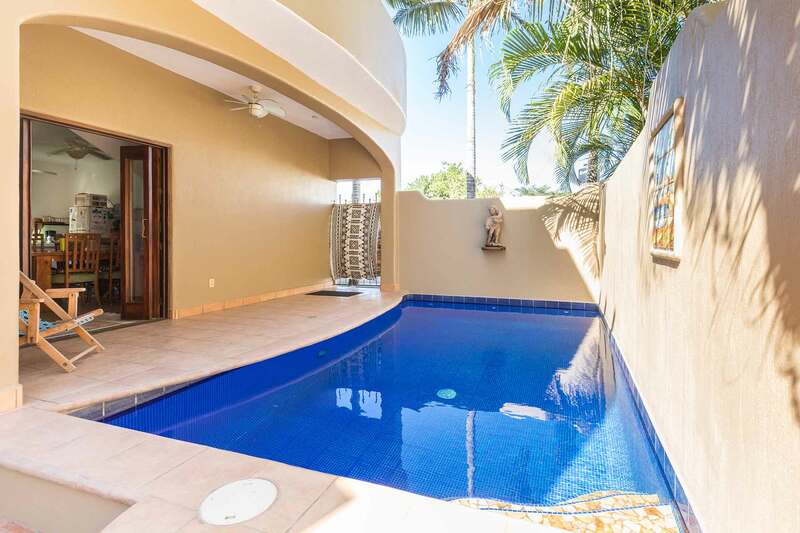 The living area is sunny, bright and comfortable and has glass doors leading to an outdoor courtyard with a private pool and terrace located at the pools edge. 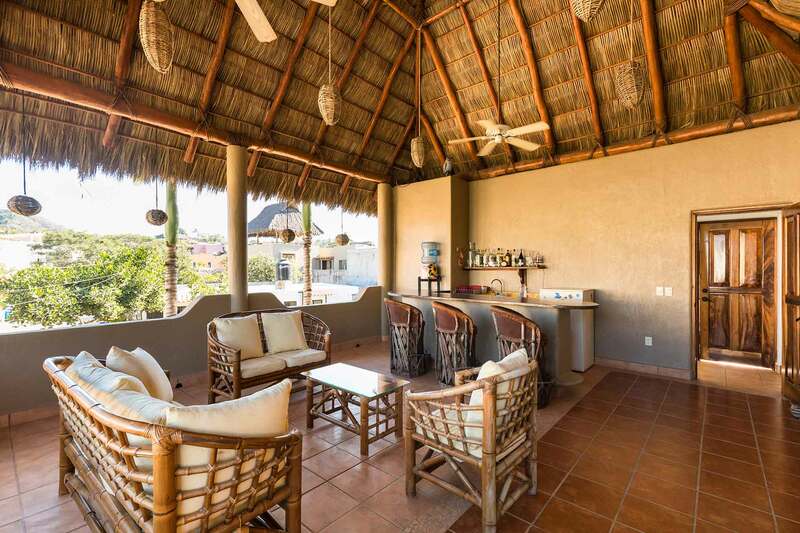 The pool/courtyard area is completely walled in for privacy, the kitchen and laundry room are large and there is great outdoor space upstairs with a 20×20 palapa-covered bar/lounge area to enjoy your afternoon margarita. 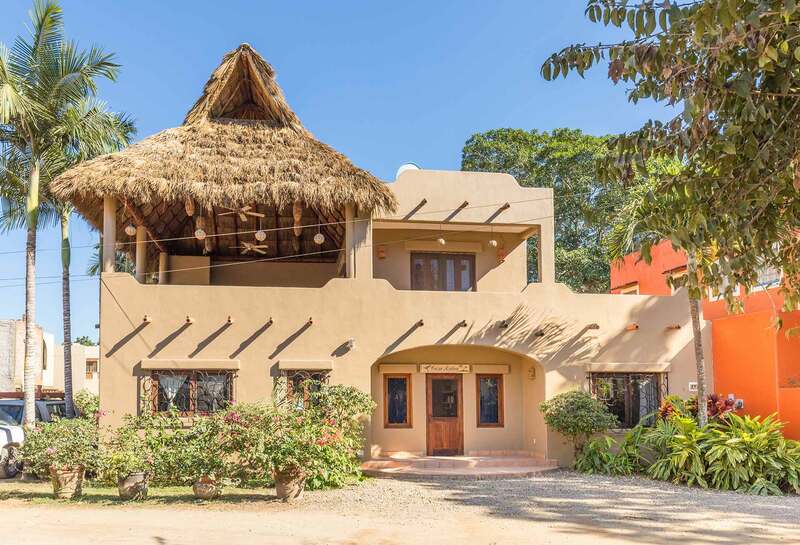 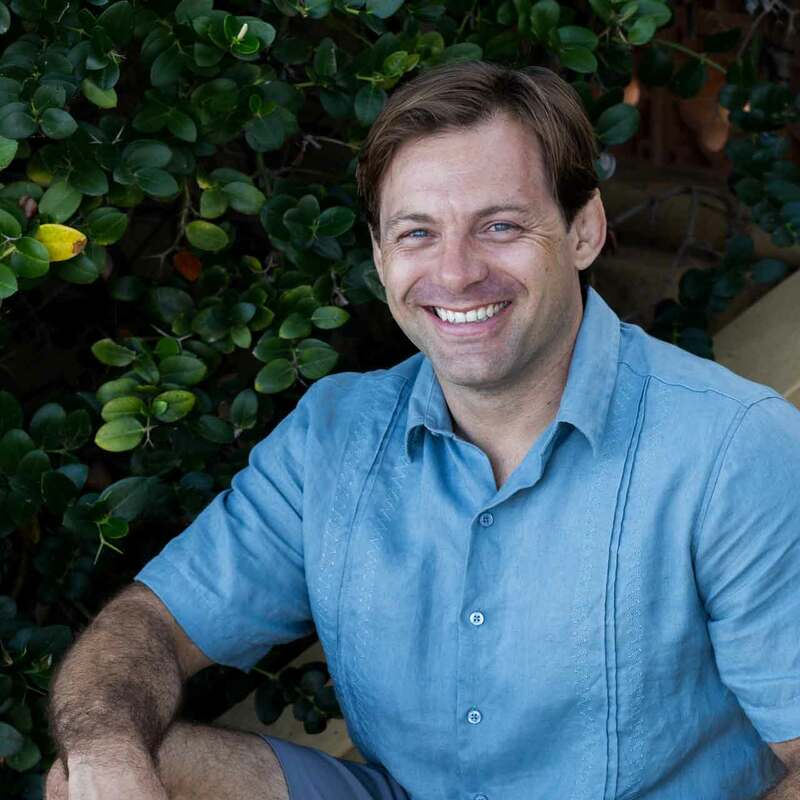 Built in 2006, Kalea’s House is a wonderful setting to experience the flavor and culture of San Pancho.